Am I the only one who gets annoyed by tags? Do you ever leave a tag on because of the warning on it? You know the one I’m talking about, right? The “do not remove under penalty of law” tag? Why do we do that? Do we really think that once we remove it the police will be banging down our doors, demanding to know what the heck we’re doing? Maybe that thought popped into my head once or twice. Hey — I’m being honest here. Then one time (sshhhh, don’t tell), I actually removed one. I know! And guess what? Nothing happened. Talk about liberating! 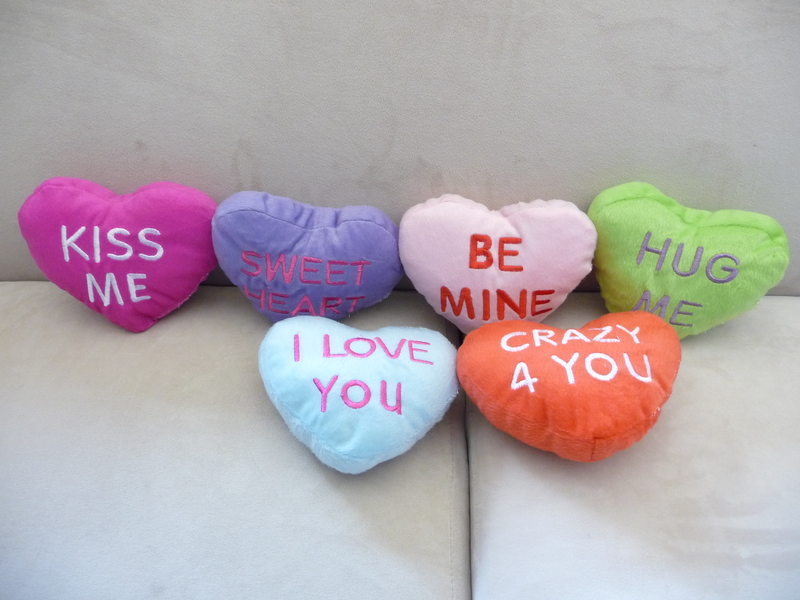 For Valentine’s Day, I bought each of my kids a heart pillow with a cheesy saying on it. They were just too cute. But check out those tags! Are you kidding me? They’re at least half the size of the pillows! Guess what I did without a moment’s hesitation? You can do this with washcloths, towels, clothes, bed sheets . . . whatever you want. So go ahead. Be brave. I won’t tell and I promise the police won’t knock on your door. Unless you’ve committed another crime. But don’t tell me about it; I don’t want to know. This entry was posted in Holidays, Organizing and tagged tags. Bookmark the permalink. Those pillows are so cute! Where did you get them? Maybe they are on clearance…. I bought them in the dollar spot section at Target.